Check out this super cute cupcake album designed by today's guest designer Eileen. She gave one to all of her friends here at the retreat and we LOVE it! 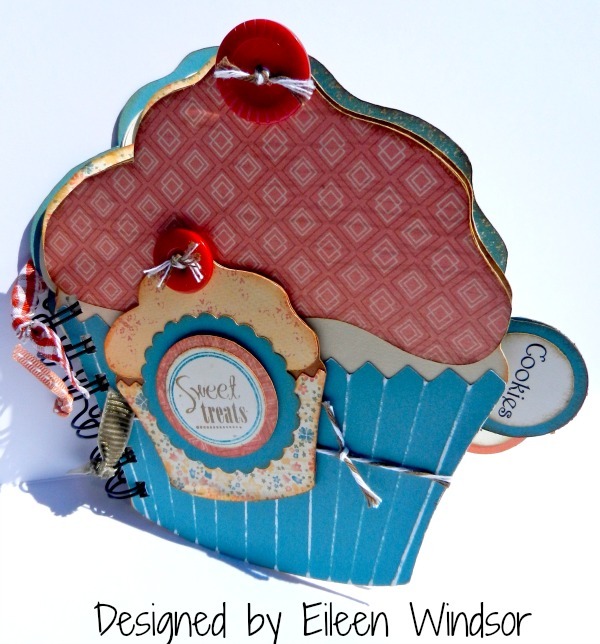 Cupcake is from Artiste cut at 5.75 inches for cover and 5.5 inches for inside pages. Accent cupcake is 3 inches. Tabs are from Art Philosophy cut at 1.5 inches. oohhhh.. I HAVE to make some of these!! !